sites kelbymaria.com including any related domains and subdomains (the “Sites”). This Policy is intended to notify you of the following: 1. What personally identifiable information Kelby Maria Photography LLC collects from you through the Sites, how it is used and with whom it may be shared. 4. How you can correct any inaccuracies in the information. What Information Is Collected? Internet traffic data includes but is not limited to internet service provider information, collection of IP addresses, entry and exit pages, various operating systems and other such information. We collect no personally identifying information through this process, and it is used to help analyze user traffic with respect to various services available through Kelby Maria Photography LLC to allow for a more customized and enjoyable user experience.  Kelby Maria Photography LLC must collect some information from you (“Identifier Information”) to allow you to use and access services, products and materials. Identifier Information is only collected by your personally providing such information to Kelby Maria Photography LLC via e-mail, by phone, or otherwise through Kelby Maria Photography LLC website pursuant to making a purchase or requesting service. You may opt out of any future contacts from us or request that we discontinue sending of email and other communications at any time at any time by contacting us at kelby@kelbymarai.com. in the meantime, browse the blog!